As Hurricane Harvey bears down in Texas, I thought I would share about Hurricane Camille. This blog post originally appeared here on 21 August 2014. Have been trying to find time to write you about the hurricane, but it’s hard to stop long enough. It has really been two weeks of nightmare. That’s how a letter from my Aunt Martha dated September 3, 1969 began. 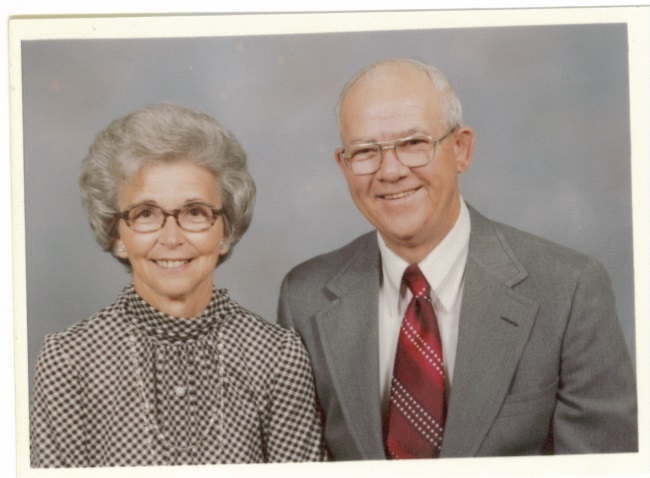 It was written 17 days after Hurricane Camille made landfall on the coast of Mississippi where my Aunt Martha (1924-2006) and Uncle Jerry MARTIN (1923-1998) lived. Uncle Jerry was my mom’s brother. Martha’s letter continues…Jerry decided we would ride this one out and not leave town as we had an invitation to stay with a friend in his office at the bank building on the third floor. The building is made of concrete, steel, etc. and designated as a bomb shelter so we felt we would be safe there, if anywhere. So we took enough food for a couple of days, blankets, pillows, T-V, radio (with batteries), candles, etc., and settled in middle of the afternoon. We filled pots and the bathtub with water before we left and taped the windows, etc. The winds began to blow shortly after we moved into the bank building and we watched the news on T-V until the current went off, then started listening to the radio. Of course, only the children slept. At first, only the people that worked in the bank building, relatives and friends were there, then later in the night, the Civil Defense began moving others in. They sat in the hallways on each side as thick as you could get them. No air conditioning after the current went off, so you could hardly burn a candle in the hallway for the lack of oxygen. The worst part was around midnight, after the lights wore off, T-V and radio stations had been knocked out, we could hear windows breaking, tin roof rolling down the street and the winds howling terribly. But finally the worse was over and about 5:00 or 6:00 a.m. people began leaving the shelters and going back home. My aunt and uncle were fortunate. They lost a TV antenna and a tree at their house, and there had been about 4 inches of water in the lower section of the new house they were building at the time. A good friend of theirs didn’t fare so well. We could see from the outside that the double garage was blown out and the front door was open, so we went in to inspect. The water had been up about 4 feet, the furniture was strewn from room to room, the piano was in the back yard, freezer a block away, walls blown out and mud 3 or 4 inches thick. Everything was a total loss. China and silver, pictures, etc., all in the mud. All the homes around her and along the beach were the same – one house was completely missing. The letter goes on to tell about my aunt and uncle pitching in to help friends and acquaintances who hadn’t been as fortunate. They stayed for about a week – meals, meals, dishes, dishes, and I washed clothes steadily for 3 days. I didn’t stop my washer and dryer from the time I got up till I went to bed. The letter, 5 typewritten pages in total, gives my aunt’s firsthand account of riding out the storm and the chaos it created afterwards. 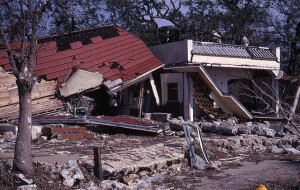 Hurricane Camille made landfall on August 17, 1969 – 48 years ago. 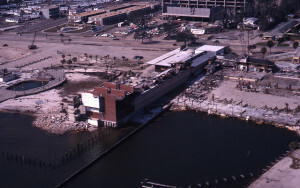 It was one of only three known hurricanes to make landfall in the U.S. as a Category 5 storm according to THIS ARTICLE. Did anyone in your family encounter a major weather event like a hurricane, blizzard, tsunami, earthquake, volcanic eruption? Please tell about it in a comment.